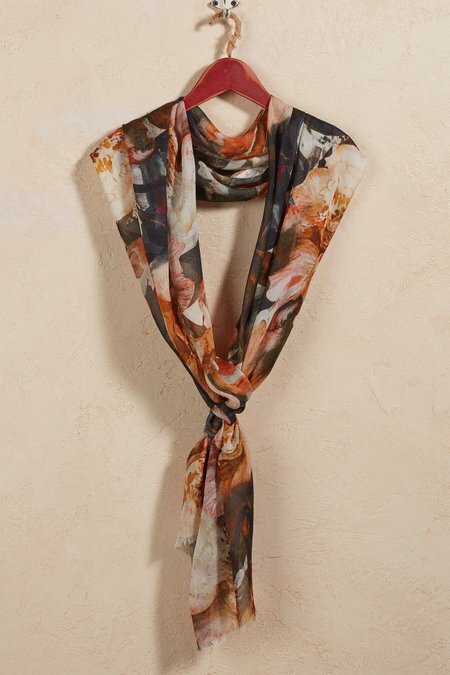 Autumn-hued watercolors suggest a profusion of flowers scattered against the black field of this soft scarf. Accented with self-fringe ends, its lavish size presents a lot of styling options. Modal.